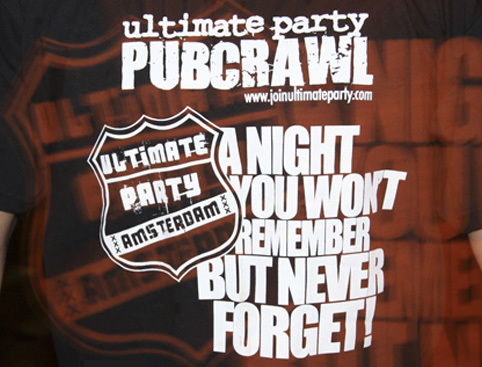 Discover Amsterdam’s infamous Red Light District on this Ultimate Party Pub Crawl! If you wish to take the pub crawl on a different date to that you’ve booked, please take your e-ticket to the ticket office located at Damrak 26, 1012 LJ Amsterdam. You can then choose which date you wish to take the pub crawl. 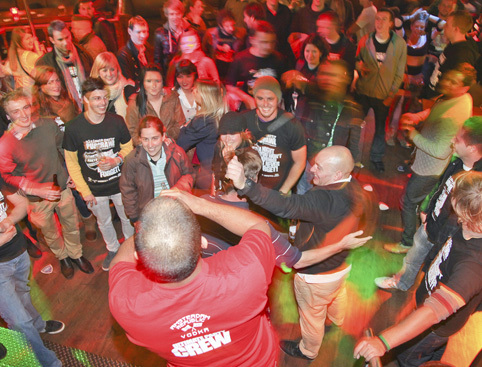 Get better acquainted with Amsterdam’s infamous Red Light District on this Ultimate Party Pub Crawl in Amsterdam - one of the biggest pub crawls in Europe! Your “party leader” will set the pace with unlimited shots of vodka for everyone in the first half-hour. Make sure you start the night as you mean to go on! Starting at 8pm, you’ll party your way through 5 pubs and 1 nightclub, with more free shots at each venue. There’s no better or safer way to explore the Red Light District! 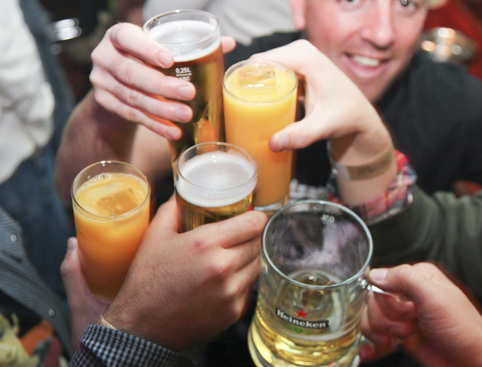 Your professional pub crawl guide will make sure everyone stays safe and has a fabulous time. We promise you a night you might not remember…. but you definitely won’t forget! 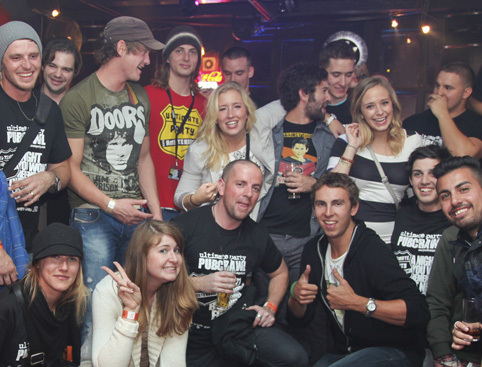 You’ll meet your fellow pub-goers at the ticket office located at Damrak 26, 1012 LJ Amsterdam. From here it’s just a short walk to "Players" bar, where your night begins! Please allow at least 5 hours for your night of fun!